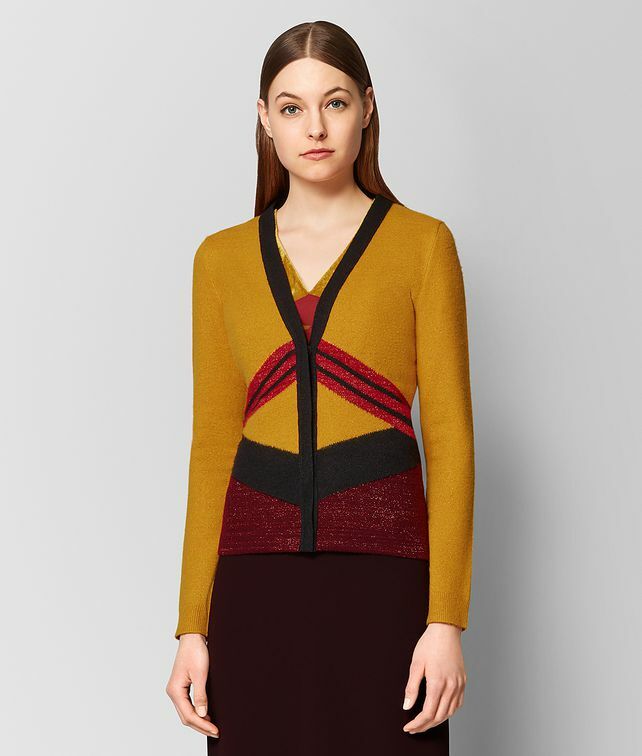 This intarsia cardigan is designed with the surreal cubic motif used throughout the Fall/Winter 18 collection. Made from boiled wool and Lurex knit, the slim knit can work for both day and night. Finished with hidden buttons and ribbed cuffs.